Trauma psychologists often have the desire but lack accessible and meaningful mechanisms to engage in policy activities. 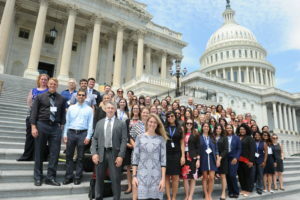 On August 1-2, 2017, the APA Trauma Psychology Division (Division 56) joined APA’s Public Interest and Science Government Relations Offices, APAGS, the Society for the Psychological Study of Social Issues (SPSSI-Division 9), and the Society for Community Research and Action (SCRA-Division 27) in co-sponsoring a special summer Policy Workshop & Advocacy Day, in conjunction with the 2017 APA Annual Convention in Washington, DC. This two day event brought together nearly 70 participants from 24 states, including Division 56 members across the professional lifespan, to learn about policy and advocate on behalf of a timely legislative issue – the need for gender-responsive policies in the justice system. One specific issue of importance is the ending of the use of restraints and restrictive housing for pregnant inmates. The first day kicked off with a warm welcome from Aaron Bishop, MSSW, Associate Executive Director of APA’s Public Interest Government Relations Office followed by opening remarks from APA’s President Antonio Puente, PhD. The morning session continued with two informative panels of speakers on policy-related topics. First, participants heard from APA, APAGS, SPSSI, and government agency representatives about policy fellowships for postdoctoral trainees and psychologists in Congress and the Executive Branch of government. 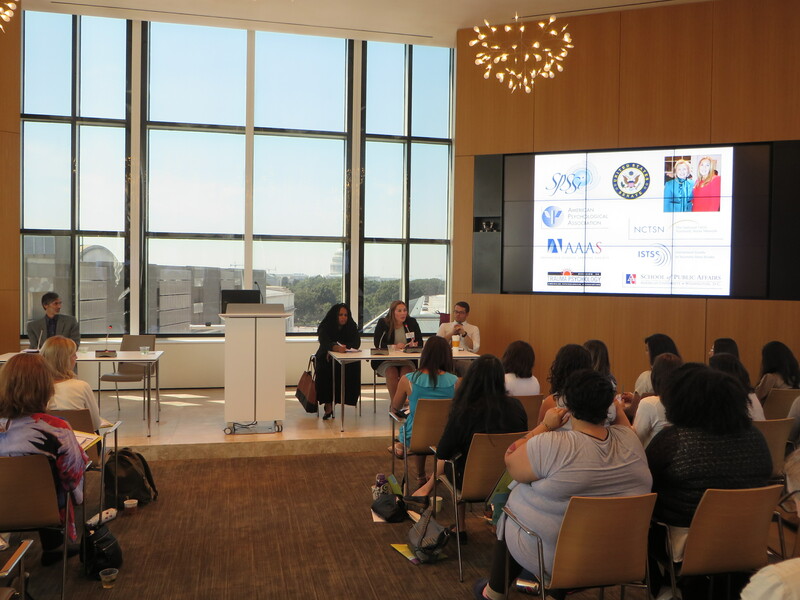 The second panel included psychologists in policy-related careers working in local and federal government, university settings, and policy and advocacy roles. Among the speakers on this panel was Division 56 member and Policy Committee Chair Diane Elmore Borbon, PhD, MPH who discussed her 15 year career in public health and trauma policy, which has included positions in the APA Public Interest Government Relations Office, the U.S. Senate, and now as Policy Director for the UCLA-Duke University National Center for Child Traumatic Stress, which coordinates the National Child Traumatic Stress Network (NCTSN). 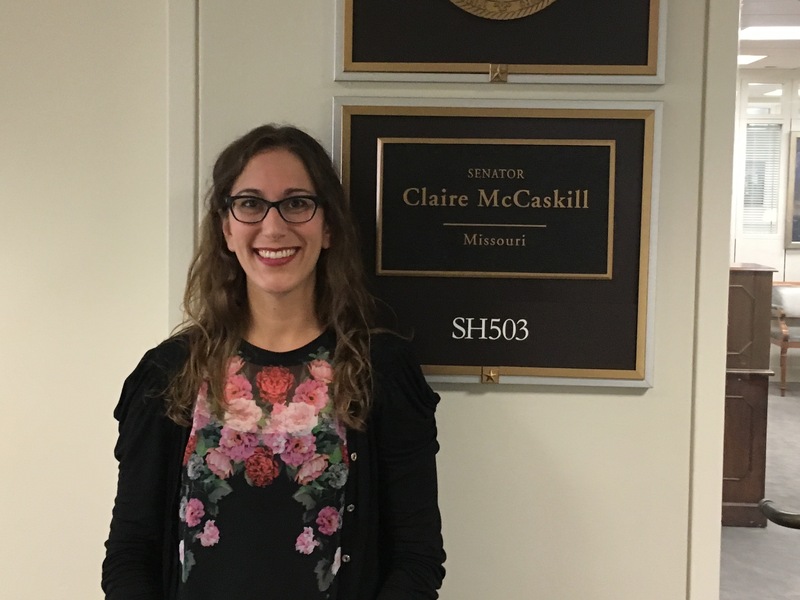 In addition to sharing some examples from her own federal policy work, Elmore Borbon highlighted opportunities for trauma psychology students and professionals to use their scientific and clinical expertise to inform policies at the local, state, federal, and international levels. 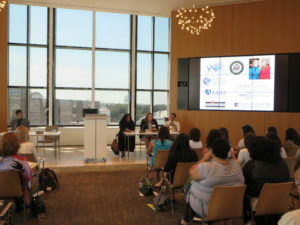 Participants were encouraged to leverage their power as professionals and constituents when advocating for change. In recent decades, the number of incarcerated women in prisons or jails has increased, creating the need for gender-responsive policies in these settings. Most incarcerated females have committed nonviolent crimes and many are still awaiting trial. Incarcerated pregnant women are frequently restrained or shackled during pregnancy, for example, in transport to routine prenatal visits, and labor, posing health risks to themselves and their babies. Restraint and shackling occurs even though pregnant inmates are at low risk for behavior problems or flight. There is a need for adequate training, services, safety, and supports to address the needs of women and babies in the justice system. APA has developed a fact sheet (http://www.apa.org/advocacy/criminal-justice/shackling-incarcerated-women.pdf, a consensus statement (http://www.apa.org/advocacy/health/joint-statement.pdf) with selected groups, and legislative language to address this issue at the federal level. 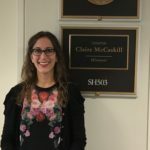 Once participants were fully briefed, they took to Capitol Hill individually and in small groups to meet with House and Senate offices from their respective states to advocate for the Protecting the Health and Wellness of Babies and Pregnant Women in Custody Act. This new legislative proposal that APA has been instrumental in drafting is expected to be introduced by its lead sponsors, Representatives Karen Bass (CA-37) and Katherine Clark (MA-5), later this fall. As both psychologists and constituents, the advocates conveyed information to policymakers regarding the treatment of pregnant inmates in their home states, as well as information regarding state-level gender-responsive policies (or lack thereof) to help make the case for this new federal legislation. In addition, participants highlighted three key provisions of the new legislative proposal, which would: (1) adopt federal policies to prohibit the use of restrictive housing and restraints on pregnant inmates, (2) provide a national standard of care to address pregnancy-related needs, and (3) provide state incentives to support training for staff in tactics to use in lieu of restraints and restrictive housing. For questions regarding the Protecting the Health and Wellness of Babies and Pregnant Women in Custody Act, please contact Amalia Corby-Edwards (acorby-edwards@apa.org) or Micah Haskell-Hoehl (mhaskell-hoehl@apa.org) in the APA Public Interest Government Relations Office. I am a Clinical Child Psychologist whose focus is child trauma. 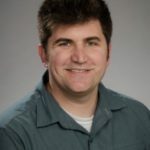 I am also an Assistant Professor in the Department of Psychology at the University of Missouri – Kansas City and the Director of Research for the Child Trauma Academy. I do not have a policy background, but have recently sought opportunities to promote trauma-focused legislation. When this workshop was advertised, I knew I needed to go and learn effective advocacy strategies and to network with my federal representatives. I was thrilled when the legislative topic was announced. My child trauma research has identified the first few months of life as a significant period of risk – moreover, adversity in these early months can have a long-term impact. As such, when making my Hill visits, I advocated for this legislation through the lens of a trauma psychologist. Amidst my nerves about being “on The Hill” and sitting in the rooms that people I admired (Senator Claire McCaskill!) worked, I used my trauma background to engage in honest and heartfelt advocacy. I spoke about the importance of early bonding experiences on development, and the risk trajectories that can ensue when such opportunities are missed. And, I found that staffers across the aisles were receptive to hearing this message. Often, I assume that legislators are “against” the initiatives that I find important simply because there is no existing legislation to address them. But perhaps one bigger issue is that legislators are not aware of the issues nor the depth of their reach. It is my job, then, to make these issues real and relevant to them. I can’t wait to go back, and I have been communicating with my representative’s state offices to keep this legislation on their radars. I am currently an assistant professor at California State University, Stanislaus and I hold a doctorate in Counseling Psychology from the University at Albany, SUNY. My research primarily involves adults exposed to mass trauma. I am a licensed psychologist with experience treating a range of trauma-affected populations including survivors of torture, refugees, victims of interpersonal violence, and combat veterans. Since finishing graduate school nearly 10 years ago, I have had a strong interest in politics and the implications of policy for the vulnerable populations with whom I work in the US and internationally. However, I had no previous training or experience in advocating for specific legislation. When I saw the APA Policy Workshop & Advocacy Day advertised on the Division 56 listserv, I immediately submitted my application. The day and half of training at the APA office was excellent. It was fascinating to hear psychologists at different career stages with varied specialties talk about their involvement in shaping important mental health-related policies. I also appreciated the practical strategies and “tricks of the trade” that we learned for speaking with Members of Congress and their staffers. Because of my commitment to human rights, I was excited we were advocating for legislation that would provide greater protection for pregnant incarcerated women—a population that has received little attention in both the popular press and the academic literature. The visit to The Hill was exciting. 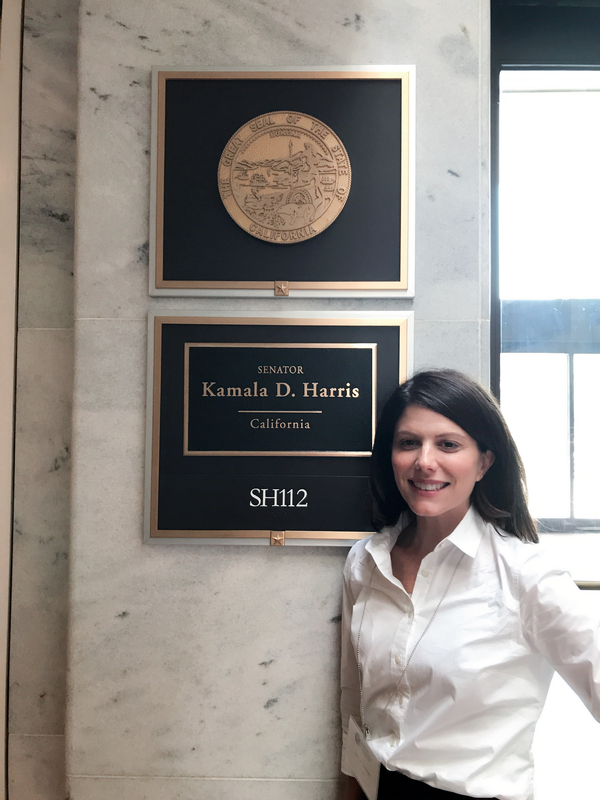 Along with a few other California-based psychologists, I met with staff in the offices of Senators Feinstein and Harris, and staff in the offices of three representatives from different districts in California. I was encouraged by their openness to hearing our position on the treatment of pregnant incarcerated women. We utilized our knowledge of the trauma literature to build the case for the importance of this legislation. Through the process, I realized that staff were interested in talking with us not only because of our professional expertise, but also because we are their constituents. More specifically, the congressperson for whom he or she works needs our vote! In these challenging times, it is easy to become overwhelmed by the multitude of problems in our society. Yet, I find solace in knowing that we can make our voices heard on key issues by speaking to our elected officials. We can be even more influential when we collaborate with our professional associations in advocating for change. I finished The Hill visit feeling empowered and inspired. Since then I have already been to Sacramento to advocate for local legislation, and will continue to do so at the state and national level. 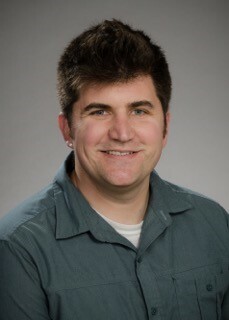 I recently completed my PhD in Clinical Psychology at Idaho State University, and am now a Postdoctoral Fellow at the University of Washington, Harborview Injury Prevention and Research Center. My research and clinical interests center on the study and prevention of suicide, including the association between violence and suicidality. Prior to graduate school, I was employed as a police officer, and also served as a volunteer firefighter/EMT. These experiences as a first responder, and my research with incarcerated women during graduate school, have highlighted for me the importance of addressing the intersection of public policy and psychological science for those who are under-resourced, trauma-exposed, and suffering symptoms of psychopathology, and thus I was very motivated to participate in the recent Advocacy Training and Capitol Hill visit sponsored by APA, which sought to advance legislation to end the shackling of pregnant women in custody. As Jessica noted above, the advocacy training offered was exceptional and very effectively conveyed the complexity of policy work, as well as the ways in which psychologists who are not policy experts can make tangible contributions to policy issues. There were two points offered by the APA Government Relations staff and other speakers that stood out to me the most. First, advocacy is a process that all psychologists can engage in directly by calling, writing, and visiting their elected officials, particularly during times that elected officials are on recess from Congress and spending time in their home districts. Next, it was empowering to learn about the role of legislative staff who work with different lawmakers and committees, and to learn how staffers are key points of contact and access when working to advocate for particular legislative issues. To put this training into practice during the Capitol Hill visit, I met with the staff of Senators Murray and Cantwell, as well as staff for Representatives Jayapal, Kilmer, and Reichart. 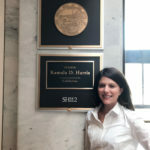 It was very meaningful to have the opportunity to help orient lawmakers’ staff to the empirical literature concerning trauma exposure and psychopathology among women in custody, and also to note the potential benefits of trauma-informed care and prohibiting the use of restraints in this particularly vulnerable population. Having training and support throughout this process has shown me that advocacy is an important and accessible pursuit for me as a psychologist, and I look forward to contributing to future advocacy efforts related to this and other important policy issues of relevance to trauma survivors, including those who are incarcerated.